Every piece of genuine Native American jewelry is a unique handcrafted piece of jewelry - no two pieces are identical. When you buy Native American made jewelry, you are buying something that is not factory made or imported; it is handmade by Native American Indian artists who create unique, one of a kind, works of art. The silversmiths, lapidarists and bead-makers from the Navajo, Zuni, Hopi and Santo Domingo tribes have gained a world-wide reputation for their beautiful and distinctive jewelry. Unlike much of the assembly-line manufactured jewelry on the market today, Native American art is painstakingly hand-crafted, carrying with it the artist's own unique style and personal vision. Indian jewelry is rich in culture and tradition, since Native Americans have been making jewelry for well over one hundred years. Jewelry making techniques and traditions are passed down from generation to generation and many Native American artisans learned their craft at an early age by watching and later helping family members or tribal elders. Many of today's artisans follow the traditional ways; yet they may use a combination of old and modern tools and methods to produce their incredible masterpieces. How often can you purchase a handmade work of art, created by an established artist for a reasonable price? 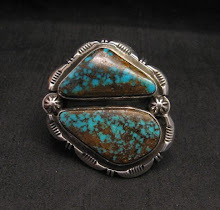 Native American jewelry is a great value, considering that it is made from genuine sterling silver, real turquoise, coral, lapis and other semi-precious stones. Silver is currently trading at over $14 an ounce. Turquoise, a precious gemstone that has been used in jewelry for ages, appeals to most folks because every stone is unique in color, matrix and rarity. 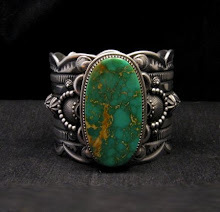 Yet even the highest grade natural turquoise from the best-known southwestern mines is relatively inexpensive, compared to other gemstones. In recent years, many artists have begun using stones of all kinds as well as 14K gold in their jewelry, in addition to the traditional sterling silver and turquoise. There are many well-known Native American artists working today, many of whom have been making jewelry for 20, 30, 40 years or more. These highly respected artisans have perfected their craft over the years and their reputation makes their work very popular. Even so, much of their jewelry is still very affordable. And if you are lucky enough to purchase a piece of jewelry from an artist before he or she becomes well-known, your piece will appreciate even more in value as the artist becomes more famous. Well crafted Native American jewelry keeps and even increases its value over time. Purchasing and collecting authentic Native American jewelry is not only a passionate hobby for some but also a great investment! Buying Native American made jewelry is a great way to support our indigenous Native peoples. 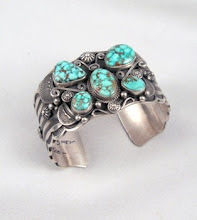 Many Native Americans living in the southwestern pueblos and indian reservations are involved in handcrafting jewelry. This activity is their principle source of income. By investing in genuine Native American art, your investment helps families and communities pay for food, clothing and education. It promotes independence and helps maintain Native American art, culture and heritage. We believe that these artists should be compensated fairly for their hard work and talent, so we always pay them their asking price for their jewelry. When you purchase jewelry from us, you can be assured that part of your money is going to the people who deserve it. Each piece of Southwestern jewelry is a true work of Native American art and you will be honoring and supporting the traditions and livelihood of our Native American tribes with your purchase. 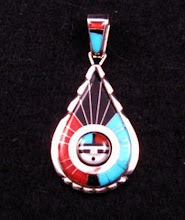 Visit our website www.tumbleweedsjewelry.com to shop for genuine Native American jewelry.